Subtitled 'A compilation of articles on the history of the O'Donnell Clan with emphasis on the last four centuries', this book provides a fascinating account of the O'Donnell clan over recent times. From the Introduction: We, the O'Donnells, are fortunate in that we have always had excellent chroniclers to record the deeds and genealogy of our clan, and to them we must be grateful. It is due to people like Lughaidh O'Clery, the Four Masters, John O'Donovan, Charles Joseph O'Donnell Castlebar, members of the Spanish and Austrian families and to the late Rupert S.O Cochlain (to whom this book is dedicated and from whom much of the material was received) that the O'Donnells are probably the best documented of all Irish Clans. 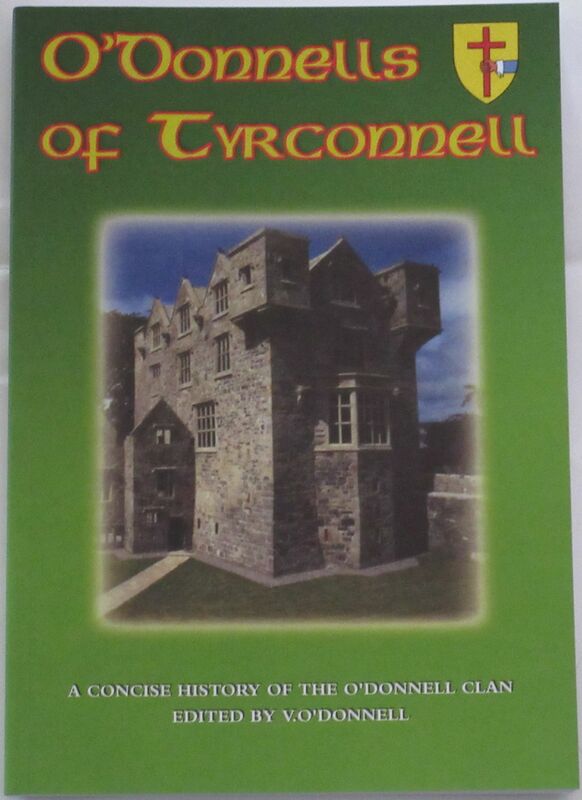 The book includes sections on: Sources of O'Donnell Genealogy, Rupert S. O Cochlain, Nomenclature, A Brief History of the O'Donnells, Arms & Name, Donegal Castle, Iris Oifiguil, End of O' Donnell Reign, The Newport Line, The Larkfield Line, The Castlebar Line, The Spanish Line, The Austrian Line, The Glasagh Line, The Ramelton Line, The Rosses O'Donnells, Inauguration of a Chieftan, An Cathach, The Capture and Escape of Red Hugh, Fuadach Aodh Rua, Pilleadh Aodh Ruaidh Ui Domhnaill, Red Hugh O'Donnells Address, Red Hugh's March to Kinsale, The Last Will of Red Hugh O'DonneIl, Death of Aodh Rua, Aodh Mac Aodh Dubh of Ramelton, Lieutenant General Charles H. O'Donnel, Hugh O'Donnell of Larkfield, Godfrey O'Donnell, The Battle of Farsetmore, Manus O'Donnell, 21st Lord of Tyrconnell, To Rome by Boat, Coach and Horseback, O'Donnell Participants in the Flight of the Earls, Lament for the Princes of Tyrone and Tyrconnell, The O'Donnell Name Abroad, O'Donnell Abu, O'Donnell Dwelling Places, Galun Ui Dhomhnaill, The Jahrgang O'Donnell. Condition of the book is generally very good. The cover has some minor scuffs and some light wear along the edges and corners, but the spine is tight and intact and all pages are intact, unblemished and tightly bound.